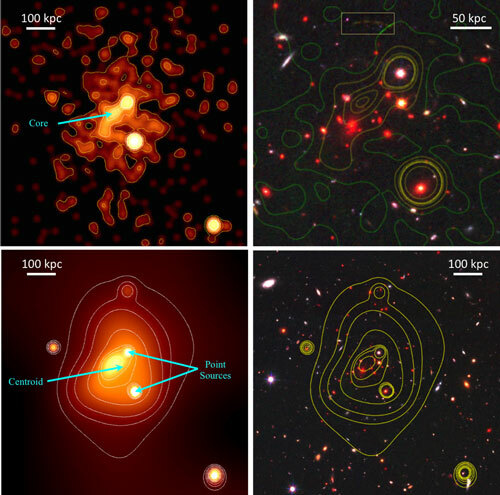 (Nanowerk News) The early universe was a chaotic mess of gas and matter that only began to coalesce into distinct galaxies hundreds of millions of years after the Big Bang. 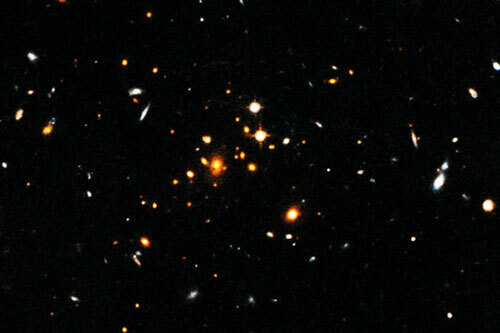 It would take several billion more years for such galaxies to assemble into massive galaxy clusters — or so scientists had thought. McDonald and his colleagues presented their results this week at the 227th American Astronomical Society meeting in Kissimmee, Florida. Their findings will also be published in The Astrophysical Journal ("IDCS J1426.5+3508: Cosmological implications of a massive, strong lensing cluster at Z = 1.75").